One hell of a butler, indeed. 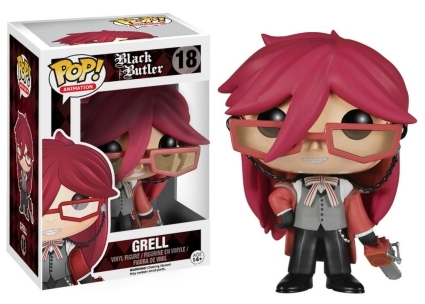 The manga-based Black Butler characters join Pop! 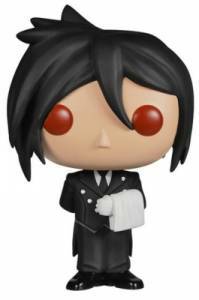 Animation with Funko Pop Black Butler. Although he is often referred to as the "Butler," Sebastian is actually a demon dressed in the traditional servant's attire. 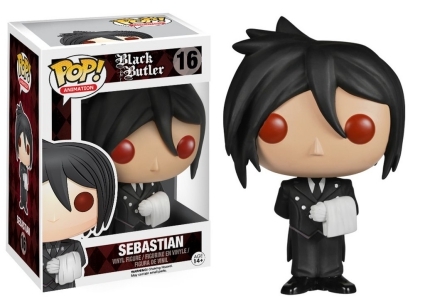 The Funko Pop Black Butler figure for Sebastian depicts his appearance perfectly as he stands in an all-black suit with white gloves and a towel draped over his arm. Additionally, Sebastian's demonic side is made clear by his red eyes. 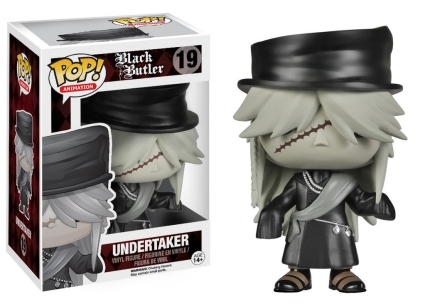 Shop for Funko Black Butler Figures on Amazon. 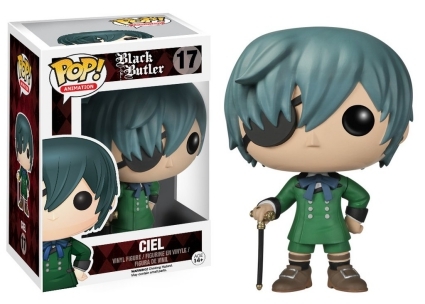 Ciel, just a young teen, is head of the Phantomhive house, and is the Black Butler's master. His bluish hair slightly obscures the eye patch containing the contract between him and Sebastian. 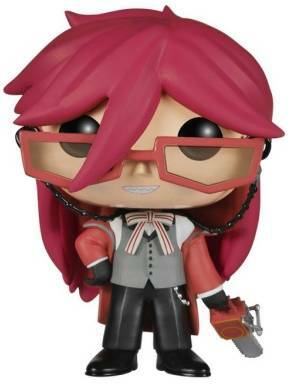 The pink-haired Grim Reaper, also known as Grell, has red-framed glasses and a matching coat, wielding the chainsaw-like Death Scythe. Meanwhile, the Undertaker figure highlights his most notable features, including a single braid and a long scar across his face. He also wears a black top hat, gray scarf and a silver chain with mourning lockets around his waist.